Certainly, God’s weeping occurred many times before that day and it continues as we trudge forward, making our mark on time. You see, 2000 years ago Jesus came to show us something…he modeled behavior for us about what it means to be joyfully alive in this crazy world we find ourselves in; to care for those who look and act and understand life differently than we do; and to know that every minute of every day we are surrounded with the spirit of God who loves us more than we can comprehend. And, just as a loving parent cries for the naive mistakes their adoring child makes, God weeps over us when we make absurd assumptions about people; when we disrespectfully misuse any part of this amazing creation; when we destroy others in a misguided attempt to gain power; and when we forget who we are and Whose we are. The thing is, we talk about remembering 9/11…but for what purpose? To continue hating the perpetrators? Or is it to remember what it felt like to let disagreements fade away because loving our friends, family, business acquaintances and neighbors is more important than petty arguments? We pulled together…skin tone didn’t matter, nor did sexual orientation, religion, culture, ethnicity or gender. Families made time to be together. We cared for our neighbors and those who were in distress. We prayed more and worshipped more. 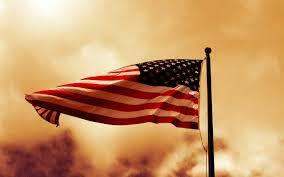 We became united as a nation – as people who were involved in something greater than individual or personal ambition. We were a team, without self interest, focused on working and living together. In the midst of our suffering we saw the beauty of what we could become. And…that is the very thing we must bear in mind if we choose to remember anything about that day and the weeks, months and years that followed.